While Square might has the upper hand if you are a micro merchant and only need a Mobile Swiper. If your business is getting bigger & you need a strong company that can help you processes with great customer service you might find that elsewhere. See what Square's top competitors have to offer your business. Checkout our Square Full Review. If you want to read more about Square Up we got you covered “What Is Square Up”?. The biggest con for using Square is they lack customer support. They also lack the many options you can get with using a big processing company that work with multiple hardware suppliers like Clover, Poynt & More. If you still interested in Square you should read and be aware of all Square fees and rates below. Square charges according to payment type and depending on whether you use Square Register of Square Terminals. Processing fees are deducted from each transaction and the balance is deposited into your linked bank account. Here are the rates charged according to the payment types. Square’s fees apply to all business types, including non-profit organizations. Does square charge interchange fees? Interchange fees are included in Square’s fees and all card brands are accepted at the rates shown in our table above. In other words the charges from credit card companies are included in the fees. Payment processing rates are deducted from the total amount of each transaction including taxes and tips. The average charges on square are 2.75% for swiped transactions and 3.5% +15c for manually entered transactions. There is a slight difference in the fees if you use Square Register or Square Terminal. Usually Square deposits within 1 – 2 business days. To receive instant deposits into your account you will have to link a verified bank account and a supported debit card to your Square account. Visa or MasterCard debit cards issued outside the US are not supported. Funds are only withheld if there is a dispute or if your bank account is not verified. 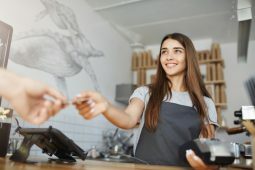 Can I use Square without a business? 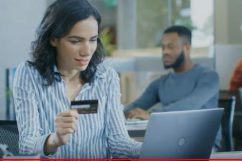 If you have the Square credit card reader you can receive credit card payments for personal transactions as long as you agree to their terms and conditions. Anyone can set up an account and receive payments on a personal level. The credit card reader is connected to your smartphone or tablet and you can receive any amount no matter how small. 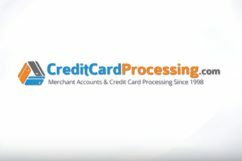 Who are the Main Credit Card Processing Companies like Square? 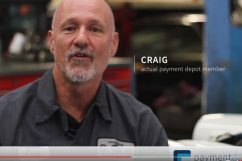 The simplicity of using Square’s credit and debit card payments with a smartphone attracts many micro merchants that don’t need much hardware. The ones that are considered to be similar are Clover & Clover Go, PayPal Here, and Intuit GoPayment from QuickBooks. Payment processing has become a wireless procedure and headphones and jacks are no longer required. 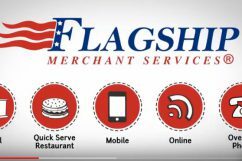 The above payment processor companies generally charge more per transaction if there is no monthly fee involved so you would need to find the right one that is suitable for your type of business. 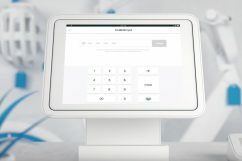 Square offers advanced mobile processing solutions and many features that you would normally pay for on a monthly basis. Square is open to anyone and it also supports personal payments as long as there are legitimate payments of goods involved. 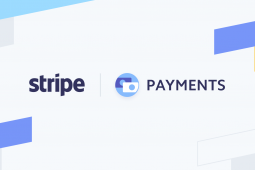 With no additional costs other than the fees advertised per transaction, Square is a very cost effective payment processor and particularly suitable for small businesses who do not want to pay expensive monthly fees. There is no lengthy contract and no cancellation fees in the event that you want to cancel their services. You can easily download the Square POS from Google Play or the App store. This system is designed to operate from a tablet or smartphone, on the go, or in store. The software is readily available for businesses or personal use. Once downloaded it is easy to set up for instant use. What exactly does Square offer? Aside from the payment processing, which is handled through their software, you have the added ability to import hundreds of products through their CSV spreadsheets. The Square Dashboard and the Point of Sales app give you the ability to manage quantities and prices easily. Barcode scanning is also possible and taxes can also be set to be added automatically. 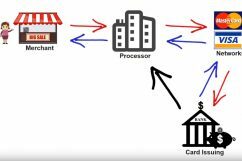 Square POS is an advanced mobile payment processing system that is better than many competitors available in the market today. The combination of its back end features coupled with a strong payment processing system make for a great package. The Square cash register is very easy to use and has many features that you can program. This could be discounts, records of cash and card transactions, receipt printing on iPads and much more. 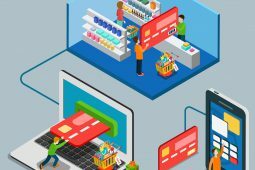 Square offers an eCommerce online ordering platform which can help you integrate your own website or develop a new one. This software is designed to integrate automatically with the Square Register. If you want to customize your website and shopping cart you can use the API developer at no extra charge. Extra charges will come into effect when you want to upgrade your chip reader which will be $29 and for a contactless chip reader $49. There are a number of extras that you can purchase online from Square which include gift cards, Square Appointments app, Employee management and payroll, Email marketing and much more. What are your hardware requirements when using Square? If you’re planning on using your Square Register with an Apple device you will need IOS 8 or a later version. Square is compatible for use with iPad, iPhone and iPod touch although a variety of features are available exclusively on the iPad. Android users require 4 or higher with GPS and Google Play enabled. You can purchase additional hardware separately from Square online. 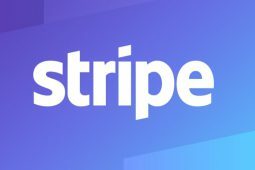 Which businesses are not accepted on Square? All transactions are monitored on the platform and action will be taken in the event that the terms of sale are violated. If you fall into this category you will be informed via email that your account has been frozen and you will not be able to take any more payments. You will need to supply documentation proving that your transactions are legal and conform to the terms and conditions set out in your original agreement with Square. 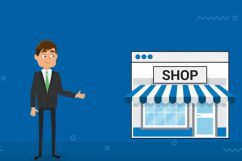 Businesses that would be suspended or not accepted are those that sell illegal products or services that do not comply with state or federal law. Age restricted products like cigarettes need a card to be present for the transaction to proceed. Selling age restricted products over the phone, mail order or the internet is prohibited. All transactions have to be linked to bonafide sales and you might be requested to produce invoices. Square is designed for the sale of goods and services only.